In just a few short decades, Dubai has gone from backwater trading post to gilded metropolis. A triple-a gem on the Arabian Peninsula, Dubai is one of the most popular cruise destinations for travelers looking to call on sumptuous ports. The best way to soak in the gleaming city is by taking a cruise to Dubai. Spend a day exploring one of the planet’s most fascinating places. Then, after some restorative retail therapy and enlightening sightseeing, head back to the boat for a night of relaxed fun in an environment with fewer behavioral rules. 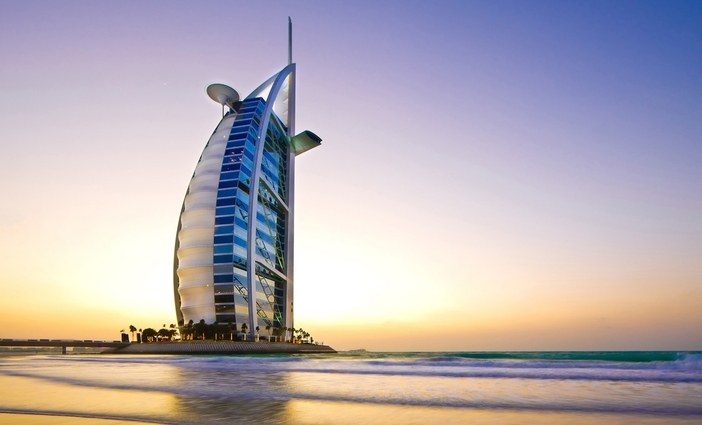 Dubai is a bustling tourist destination teeming with attractions. 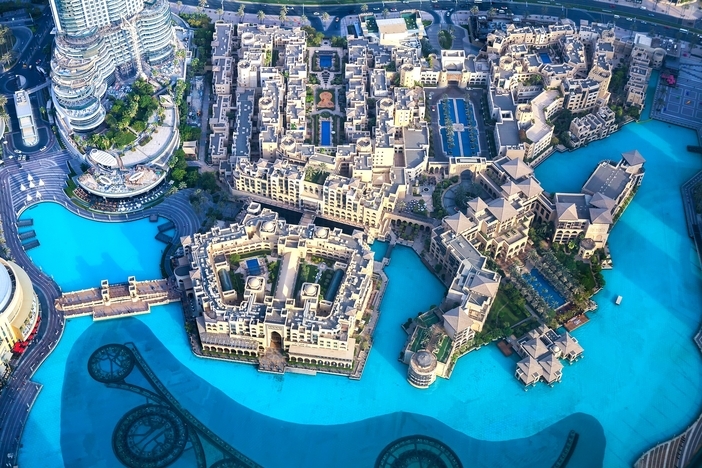 Like everything else about the city-state, the list of things to do in Dubai is impressive. And when you cruise to Dubai, setting up tours to desired destinations is a snap. Culture and history buffs should make their way to the Al Fahidi Historical District, a traditional neighborhood that celebrates the city’s past through preservation. 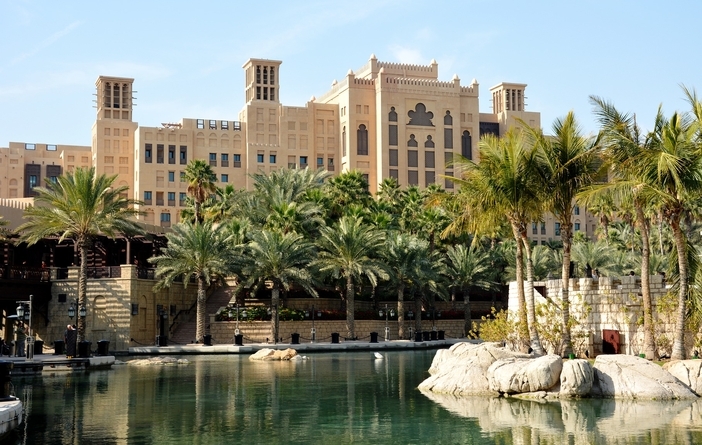 A marriage of old-world and new, Souk Madinat Jumeirah is a lively outdoor mall with both old-fashioned shops and modern eateries. It’s the place to get your haggle on! For outdoor enthusiasts, Dubai desert safaris are a huge hit. Tour options exist for both adrenaline junkies and leisurely gadabouts. 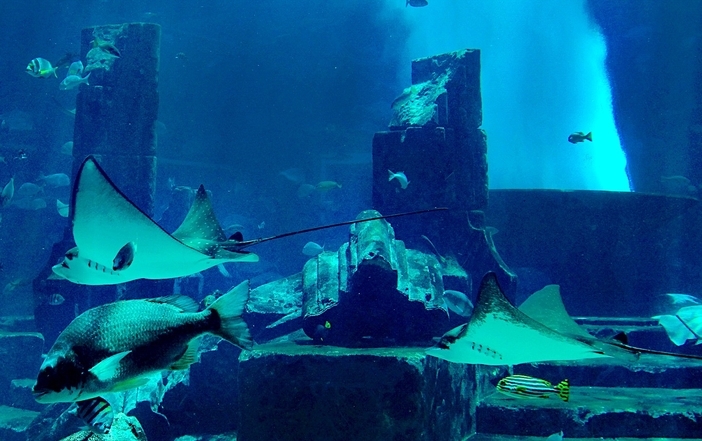 Folks more interested in what goes on under the area’s tourmaline-colored waters should check out the Dubai Aquarium and Underwater Zoo. Foodies taking a cruise to Dubai must make it their mission to find the venerated “kebabateria” Al Mallah. As one local explained, “Lebanese food is to Dubai as pizza is to Brooklyn, NY,” and Al Mallah is where to find delicious offerings. Unusually for Dubai, it’s not a fancy restaurant, but the food is fantastic! Another one of those should not be missed things is Ski Dubai, an indoor ski resort in the Mall of the Emirates. After all, can you really pass up the opportunity to swish down a mountain in the middle of a dessert? Whether your ship launches from Dubai, lands there or calls on the port mid-sail, you can’t go wrong booking a Persian Gulf cruise with an itinerary that includes the awe-inspiring city of Dubai where grandeur and glitz audaciously take center stage.